A fast prep, a quick bake, and dinner is ready in under an hour! 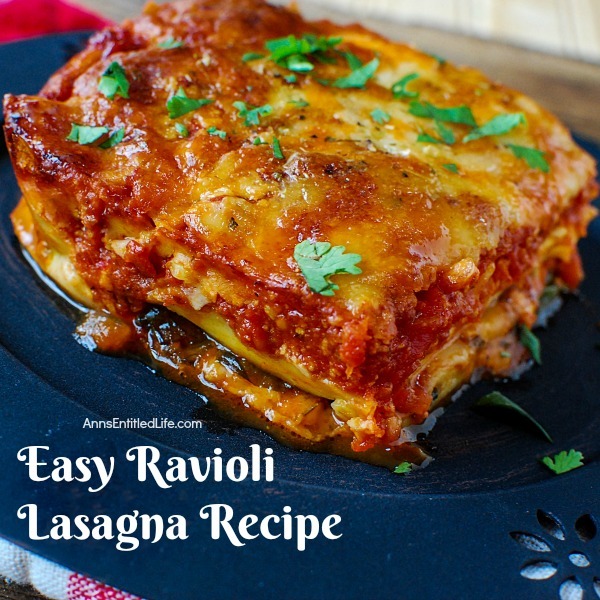 A salad and fresh bread are all that is needed to turn this tasty easy Ravioli Lasagna recipe into a hearty supper your whole family will enjoy. • Preheat oven to 350°. • Clean fresh spinach; remove the stems, dry; set aside. • Spray a 7″ x 11″ baking dish with non-stick cooking spray. 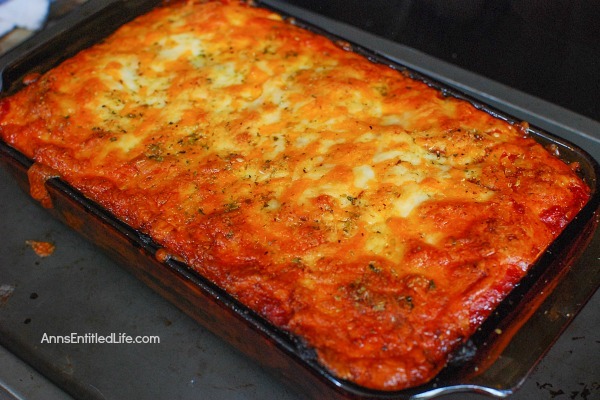 • Spread ½ – 1 cup of Bolognese sauce evenly over the bottom of the baking dish. 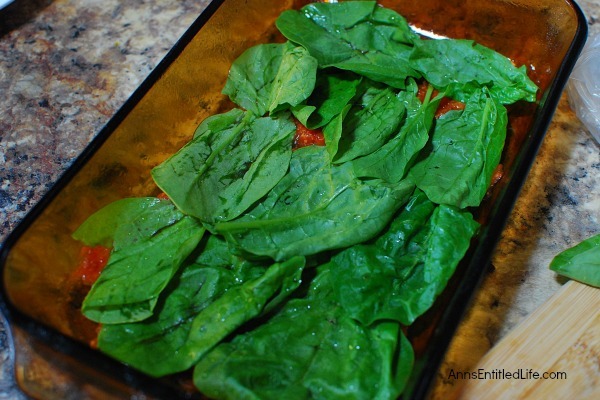 • Using only the leaves from the spinach (and discarding stems), lay down enough spinach leaves on the baking pan to cover the bottom of the baking pan (on top of the Bolognese sauce). 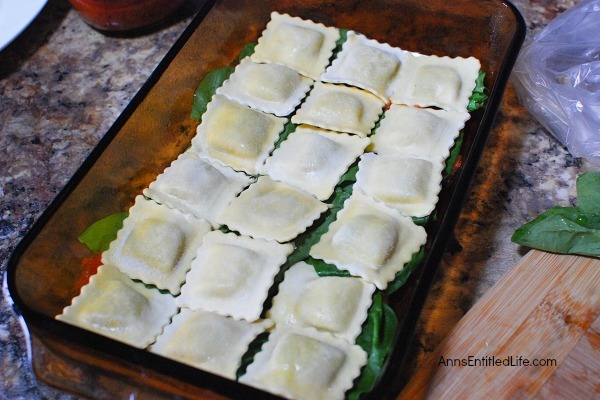 • Lay down the ravioli side by side, but not overlapping, to cover the spinach that was just placed down. • Mix together the mozzarella and cheddar cheese in a bowl. 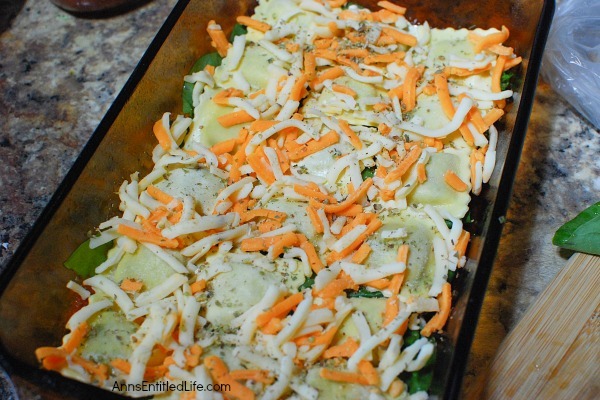 • Sprinkle ½ cup of the mozzarella and cheddar shredded cheese mixture on top of the spinach. • Sprinkle 1 tablespoon of Italian seasoning on top of the cheese. 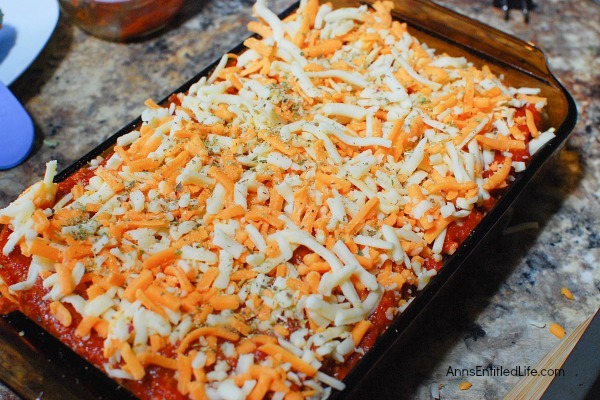 • Begin the layers again by spreading more Bolognese sauce evenly on top of the cheese (Italian seasoning). 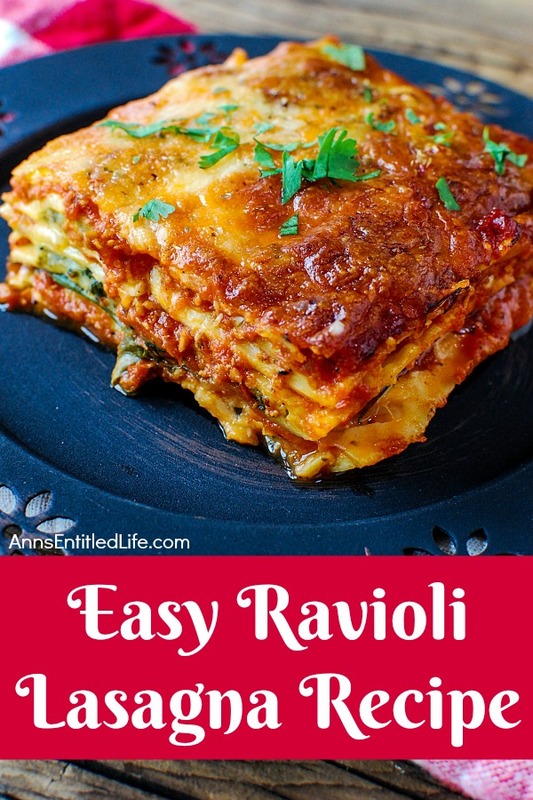 • Layer spinach leaves, ravioli, spinach, and remaining cheese and Italian seasoning (in quantities listed above) until pan is full. 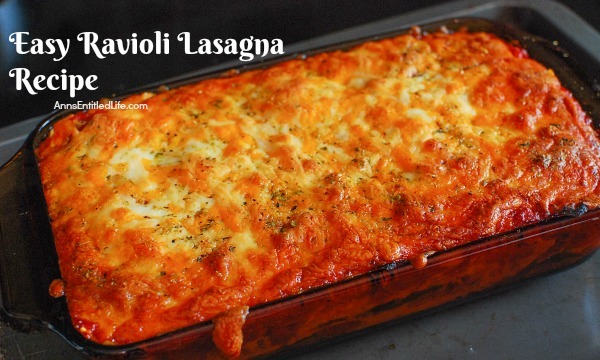 • Bake for 40 – 45 minutes in a preheated 350° or until the cheese is melted and golden brown on top. • Let the dish sit for 15 minutes before serving. • The sky is the limit on the changes and adaptions you can make with this recipe. The frozen ravioli can be any type… although the ricotta and spinach ravioli paired in these photos is a wonderful compliment to the fresh spinach. 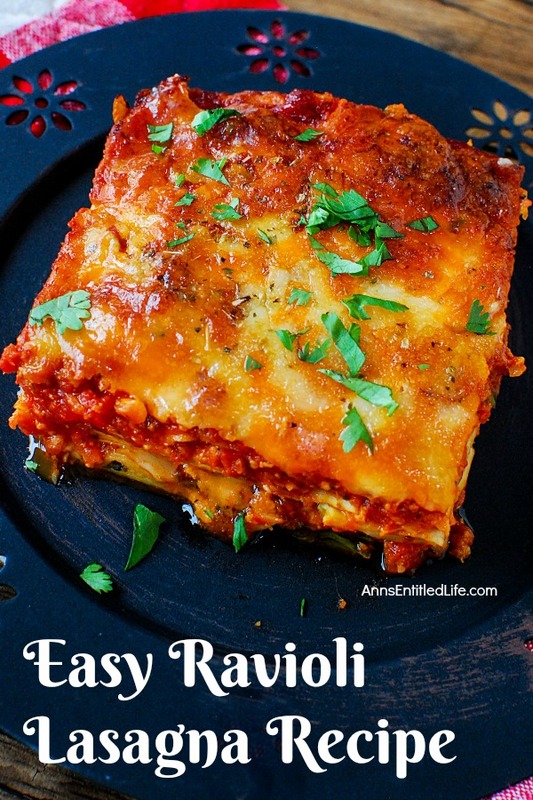 • Instead of Bolognese sauce, you could substitute vodka sauce or spaghetti sauce. Use what your pocketbook and family will enjoy the most! • Mozzarella, is of course, an fairly decent melting, great with Italian sauce, cheese. The cheddar gives this a bit of tang. You could also use an Italian cheese blend (pre-shredded in the dairy case). 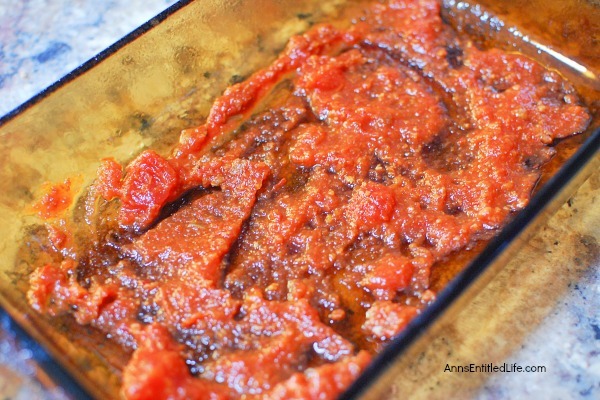 • If you use much more sauce than listed, you may want to move up to a 13×9 pan. Adjust more cheese and ravioli too, and watch the cooking time. As I said, many variations can be had! Just think of this as a base recipe, and make changes from it that suit your needs. 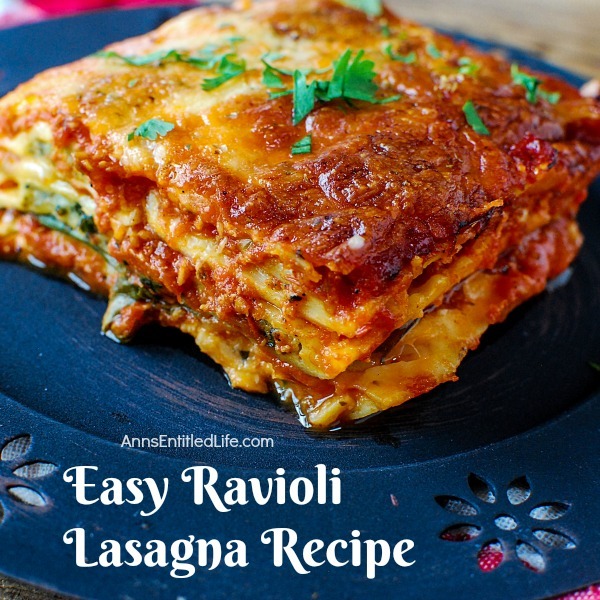 • To print the Easy Ravioli Lasagna recipe, click here. • Disclosure the links in this post may be affiliate links. Looks & sounds tasty! Looove the addition of ravioli. Thanks for sharing with us at Funtastic Friday!